After cloning and building upon the Snapchat Stories format, Facebook is now taking steps to integrate the Stories across all of its platforms. The social media giant has already made it possible for Instagram users to cross-post their Stories on Facebook earlier last year but is said to testing a similar integration with WhatsApp as well. We are always testing ways to improve the experience on Instagram and make it easier to share any moment with the people who matter to you. This cross-posting feature has been built using WhatsApp’s publicly available code, which makes it possible to integrate the Facebook-owned messenger into other 3rd party apps. Even Google Assistant makes use of this library to allow users to send messages with voice commands on Android devices. As seen in the screenshots attached below, you can tap the Your Story button (shown on the left) and then activate WhatsApp sharing. Once you’ve shared your Instagram Stories on WhatsApp, you’ll see an Instagram logo appear on the bottom right of the same. Since I’m not a regular user of the “Stories/Status” feature on Instagram and WhatsApp respectively, the cross-posting feature doesn’t really benefit people like me. But, I understand Facebook’s motivation for testing (and eventually, releasing) this feature to the masses. It has a two-fold effect. Facebook is positioning WhatsApp as the interconnect between its various services and knows users are steadily straying away from competitors such as Snapchat as similar features are added to products on Facebook’s platforms. And if they want to share the same story across the board, they currently need to save the “jazzed up” photo/video and then re-upload it to Facebook, or WhatsApp. This is what most influencers are doing in the current scenario but it’s just a chore and an additional step, which has been removed now. With Stories appearing on WhatsApp, the use of the feature on Instagram is bound to take off, and it takes the burden off your shoulders, making the process as simple as tapping a button. This will also increase overall impressions and engagement on these Stories, as opposed to Snapchat, which is restricted to the app and, more recently, web. Ever since its release, Instagram Stories has grown quite popular among users, which has been reflected by the whopping 300 million daily active users on it. It’s just about double of Snapchat’s stagnant 170 million DAU, as per recent reports. This is a key driver behind Facebook’s decision to catapult Stories into the limelight. 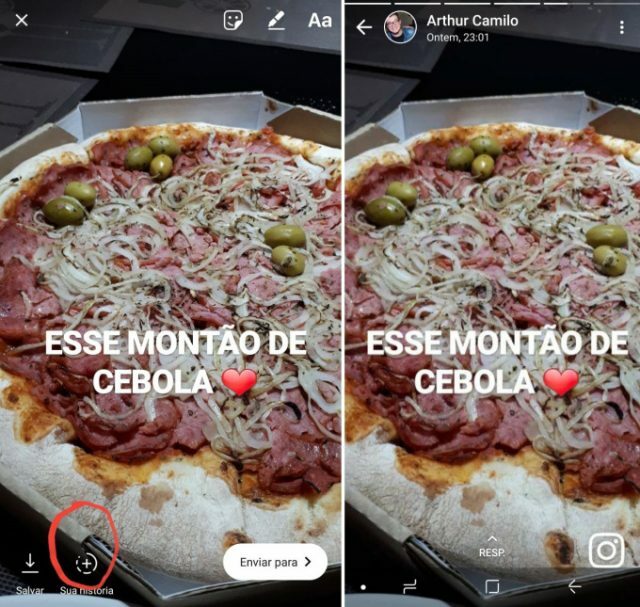 Do you like this new feature on Instagram and WhatsApp? What other integrations will Facebook implement, in your opinion? Let us know in the comments section below.